We definitely need a new post. I'm grateful for this community. None of us are perfect, we all have our quirks. Sometimes things get heated but I truly appreciate that people are willing to engage and articulate what's bothering them. I also appreciate when people know they need to take a break for a while. I appreciate you supporting each other and reaching out when needed. I very much see us as a family and I appreciate anew every time we muddle through a crisis. Hopefully we have baseball today and I'm grateful for that too. Well here we go. After a long, long boring offseason where a great number of teams seem to be in rebuild mode, where over 100 players remain Free Agents because again, teams are in rebuild mode and look like they're already conceding that one of the Yanks, Bosox and Astros are going to be the AL champions. 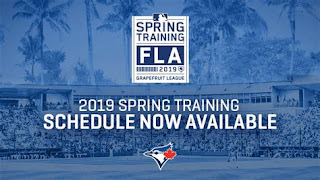 Instead of listing all the spring training games and the broadcast schedules for radio, tv and the MLB feeds, I thought it would wiser just to link the entirety. Happy Spring Training Valentines Day! And what better gift can we receive than pitchers and catchers reporting? I know the press will be tweeting out photos. Feel free to add in the comments and I'll add some to the post as the day goes on. Here's your weekly gratitude post! I am grateful that the long winter is almost over and pitchers and catchers report soon. Yay baseball! I am also grateful that I have food for another day. I am grateful I have a warm place to sleep. I am grateful I have an understanding roommate. 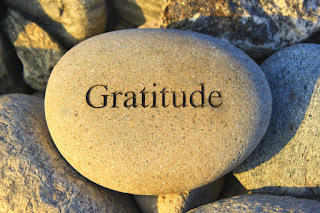 I am grateful that people want to give me tools to help me move into the next phase of my life.